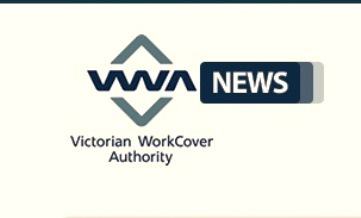 Victorian WorkCover Authority, also known for its trading name WorkSafe Victoria, has announced the return for the third season of Top Tradie Cup this August, with a grand prize of $4000 of tool vouchers for the end-of-season premiers. The online Top Tradie Cup, which is specifically designed for smartphones, aims to highlight the importance of workplace safety and encourage tradies to talk about on-site safety. The two-week Cup also aims to improve construction industry safety practices. “The interactive game has been created for tradies and supervisors in the construction industry and challenges players to pit their footy knowledge against their mates and competing construction teams, while sparking conversations about workplace safety,” it says in the media release by the Victorian WorkCover Authority. The teams will have to answer eight questions in each of the six rounds and the team with the highest number of correct answers and points will win the ultimate prize, along with “Top Tradie 2014 bragging rights”. The competition kicks-off 25 August 2014. Registrations will be open from 11–24 August and only entrants who work in construction in Victoria, and have a construction induction card (or equivalent), are eligible to apply.